Madison - classical oxford shirt with buttons in white pearl. 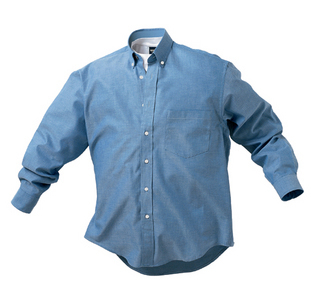 Button-down collar, chest pocket & cuffs with double buttons. Discreet embroidery on right sleeve slit. Easy-care treated (fabric treated against wrinkles). 100% cotton. Colours available - white or blue. Sizes - S-XXXL.